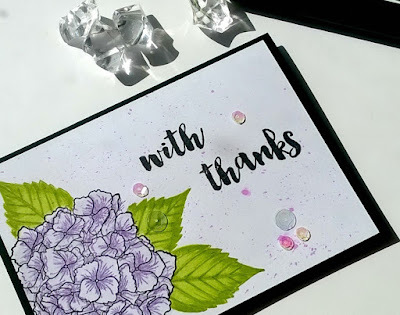 Today I am sharing a card made with Altenews Garden Hydrangea stamp set. I stamped the flower using the Shades of Purple mini ink cubes, the leaves were accidentally stamped in the wrong greens. 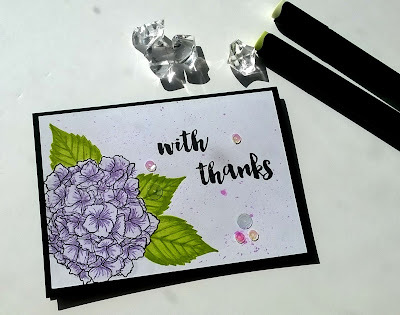 I used the Tropical Forest ink cubes instead of the Green fields ink cubes. 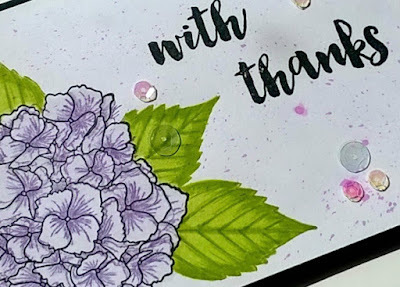 At first the leaves looked a bit too vibrant against the lilac shades in the flowers but after adding the black sentiment and black card base I think colours work. 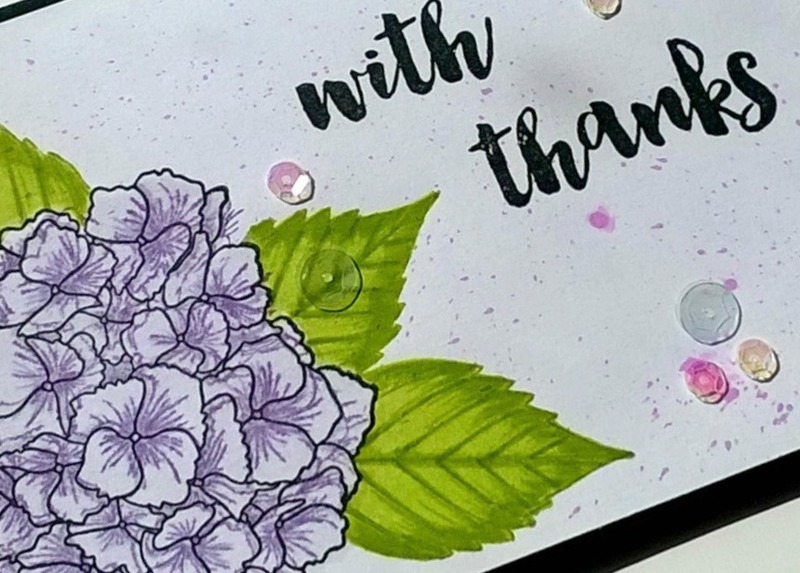 I also added some in splatters in one of the purple shades to fill some of the white space. I am loving vibrant floral cards at the moment, thanks for stopping by today, I'll be back tomorrow with more crafty inspiration.